The 2016 Plant Engineering Maintenance Survey (registration required) found that 50% of all unscheduled downtime results from aging equipment. Lack of maintenance (due to various factors from budget to manpower) accounted for another 25%. Interestingly, 55% of respondents said that their solution to reduce downtime was to upgrade equipment. But the impact of aging equipment didn't suddenly develop in late 2015. It's been gradually emerging. Yet companies haven't made investments yet. There's been plenty of cheap money available for the past 5-7 years which companies could have used to upgrade. The hesitation isn't due to lack of capital. The reality is that much of the automation benefit (and substantial cost savings) was realized with previous generations of machines during the '90-'07 US manufacturing renaissance. Capital equipment manufacturers used to have a compelling story to tell - by implementing the machine a company could save a huge amount of money in labor, consumables, time, etc. The machines sold themselves according to a simple formula. That meant that machines/projects sold themselves - the only challenge reps had was outselling their competitors. The environment has changed. Customers have implemented the easy solutions, while in the meantime capital equipment manufacturers have made incremental improvements - but few revolutionary ones. As a result the delta between net cost of action vs inaction has narrowed, or even inverted. At the same time buying teams are larger and more decentralized. Now many stakeholders must agree to move forward, and one dissenter can derail a project. Yet sellers persist in telling the savings "ROI" story without recognizing the often much lower cost of inaction. They exhibit the empathy deficit and 'unreasonable' narrative about which Seth Godin has recently written. The status quo is deadly for most - it just takes time to recognize the downward slope because the assumption is that there's a boom cycle coming for those who can simply hang on. Every capital equipment manufacturer is loathe to discount. Instead the mantra is to sell value. Of course value is established by the buyer - and 5 servo axes compared to 3 may not be valuable. Capital equipment sales teams have two approaches therefore. 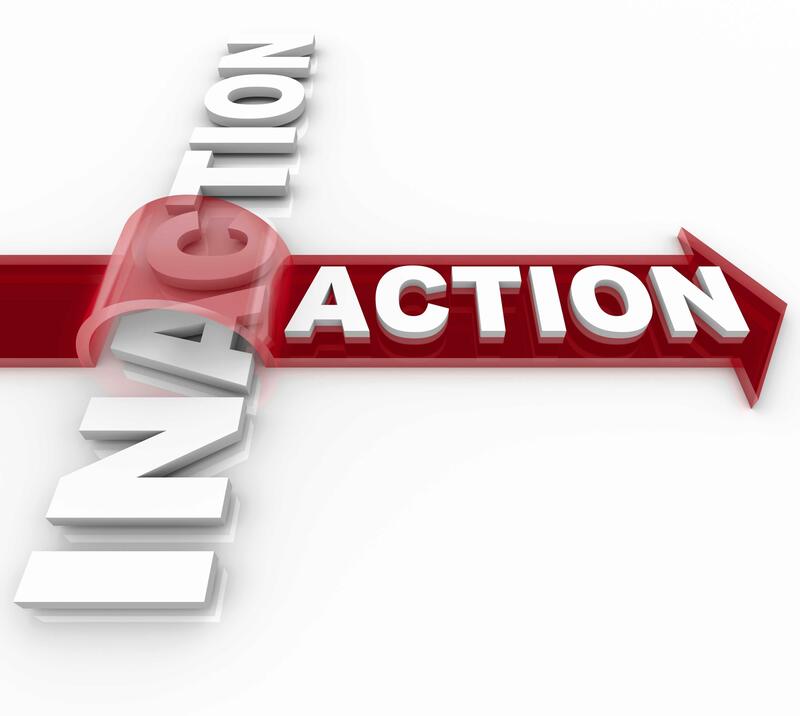 One is to help identify and quantify costs of inaction that buyers might not have considered or fully appreciated. The Internet of Things (IoT) and the incredible power of data will drive more of this in the future. The other is to reduce the cost of action. Leasing & financing programs had modest success in this regard - at least when there was a material cost to funds. Sharing economy and product/service systems will drive more of this in the future. Too few manufacturers are preparing for those future eventualities - just as many capital equipment manufacturers are ignoring the existential threat of 3D printing to their business models. But while the cost of inaction is relatively static (particularly when those costs like downtime noted above can be 'excused' due to budget pressures) there are steps which companies can take to reduce the cost. One of the biggest is to help customers monetize existing equipment. Trade ins are a great way to do this which can simultaneously address finance concerns regarding book value and reduce the net cost of action by reducing the purchase price. Why do manufacturers loathe trade ins? Generally the rationale is that used machinery cannibalizes their new sales and that it distracts them from their core business. Of course the former is a bit silly - it's not as if the aging machines will only be sold if they're the ones selling. The market is there - in fact with electronic platforms the market is more robust and liquid than ever. The cannibalization has happened...and they've completely missed out, instead of partially. As far as distraction, that's also a bit absurd. There's no reason a distinct subsidiary couldn't be established, as a separate P&L, which has to stand on it's own after being funded with direct financing or guarantees by the parent. After all, funds remain quite cheap now, and acquiring the used machinery inventory would build an asset which could ease borrowing restrictions. And in fact there are some enormous potential benefits. There will always be buyers who just buy dirt cheap. You won't change that. But many buyers, with standard requirements/applications, would welcome the opportunity reduce their capital equipment cost while still acquiring branded, factory supported, high quality machines. Those are incremental sales which are often lost to cheaper manufacturers or direct purchases of used machines - used capital equipment sales of which manufacturers could capture a share. At risk of causing you to recoil by comparing your machinery to used cars, there's a great parallel to consider. "Estimated U.S. exports of used passenger vehicles rose 26% from 2009 to 2013...and now make up 34% of U.S. passenger vehicle exports by volume." Emerging markets are hungry for used capital products. They represent an enormous untapped market for manufacturers who are often discouraged at their ability to sell new, full price, machinery into those markets. Typically emerging market procurement maturity develops in three phases. First emerging market manufacturers buy cheap machines from Chinese vendors. Those fail quickly. Next they purchase used/reconditioned machines on the open market - often US and European brands. Finally they turn to the manufacturer whose used machine they've run (and learned) and acquire new equipment. In other words, the key to selling new machines into those export markets is to get the used machine placements first. That locks in brand loyalty. And to complete the circle here, taking used machines in trade from domestic customers can increase domestic capital equipment sales AND provide the inventory required to fulfill demand for used machines from emerging markets which lead to future new machine sales. And companies resist used machine sales...why? First is offering a compelling value for mid-priced used machines from the manufacturer vs. cheap used machines from the street. That requires a philosophical commitment to the market from management. A separate business unit could be an important factor here - both for operational reasons and to demonstrate commitment. Second is the ability to identify and grow key markets. And that's actually a variety of elements packaged as one. The key is digital marketing. A good website makes you global - and used capital equipment sales are well suited to the web. Don't believe it? These may not be glamorous, but they are incredibly profitable businesses made possible by the internet. You can't be in every market - and you can't know every company that's just on the cusp of growing and needing your machinery. But they know themselves. And they turn to the web. A well optimized site (with helpful content) is important for domestic sales success, and the key to finding international buyers. Building that sort of site only requires minimal investment - but it does require deliberate focus, expertise (remember, your team doesn't know what they don't know) and consistent work. That's precisely how the companies listed above have built their profitable businesses. Why leave that opportunity to an enterprising former service tech (that seems to be the common model) - seize it yourself! As buyers find you, you'll develop an understanding of market opportunities based on the origin of traffic, inquiries and transactions. You'll gradually develop localized content (maybe some in local language that addresses specific concerns common to that market) and contacts. You may even take the step of establishing parallel channel for your new and used capital equipment sales - or at least select channel with one criteria being their facility in supporting both sides of your business. You can also create a list of potentially fruitful markets. Remember that those you've heard most about are already relatively developed. You may find a less certain starting point but better opportunity in markets which are poised for growth as they achieve "workshop of the world" status. Is any one list a certain road map? Should you book flights and arrange US Commercial Service (@USCommercialSvc) Gold Key meetings immediately? Of course not. But....if the used equipment strategy is of interest, these markets could be key destinations of focus for your digital marketing to create a vibrant used machinery sales model. You sell new machines, you make money a second time on the reconditioned machines, you lock in markets, you sell more parts, you've got machines which you can use to plug gaps elsewhere....what's not to love about it? In many cases the only thing standing between you and success is your mindset and resistance to selling used machines. That, and your openness to stepping up your digital marketing game in general. Wondering if it's time? Download our Guide to Manufacturing Repeatable Revenue Growth with Digital Marketing.